Our store in Langley gets perpetually broken into. They rob catalytic converters… it’s just brutal. Since we’ve put Radius in, we’ve caught every single guy. Two days ago, Dave comes into my office with this huge smile and a cheque in his hand. And I’m like looking at this cheque, $1,300…. I go, what’s this about? This is the guy we caught two months ago, the burglar, we went to court and he paid us back for the damages that he did in our dealership. Who’s ever gotten money from a guy who broke into [his place], right? 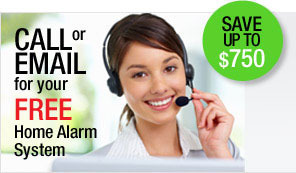 I was like, “This is awesome.” So your security system has become a profit centre for our business. We haven’t had any incidents, any incidents whatsoever with Radius Security from Day 1. Very professional. Haven’t had any security issues, any break-ins or any problems. Any issues that have come up Radius has solved it instantly for us. I like the fact that someone is on the ball all the time. And the... level of service is constant. I don’t have to worry about somebody sleeping here. Even with guards, I’ve had break-ins in front of the guards. I’ve had things happen--things such as wheels off of cars, break-ins of a fence--in front of guards before. Having a guard here was not a deterrent in any way. We have found your services to be very effective. On several recent projects, we have had many arrests as a result of break-ins and illegal site entry. We believe we have saved a significant amount as a result of the Radius program preventing loss and damage. From the tendering and planning stages, your staff do a great job setting the projects up. 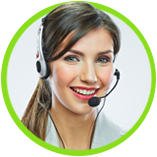 The operators have good communication skills and are easy to interact with. - Dan Parke, Karl Gustavson Architect Inc.
- Dan Pasacreta, Crosby Property Management Ltd.
- Nikki Cooper, Strata Agent, Vancouver Condominium Services Ltd.